The Destination Marketing Organisation has achieved in excess of £100 million in media coverage worldwide and has received accolades including the World Travel Award for World's Leading Marketing Campaign. 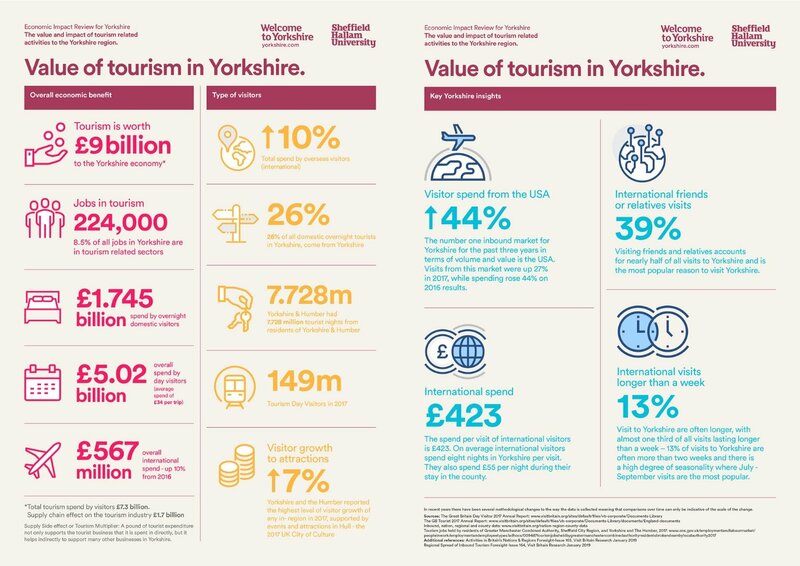 Download the full infographic on the Value of Tourism in Yorkshire. Understanding the Increase in Tourism Spend in Yorkshire in 2017.